Hip hop fans will have to wait a little bit longer. Recently, A&E announced they’ve delayed the premieres for their two new TV shows Biggie: The Life of Notorious B.I.G. and Who Killed Tupac? Biggie: The Life of Notorious B.I.G. will employ archival footage and audio to tell the life story of Christopher Wallace, the influential rapper who was killed in his prime. The docuseries Who Killed Tupac? investigates the unsolved murder of rapper Tupac Shakur. Biggie: The Life of Notorious B.I.G. will now debut on September 4th at 8 p.m. ET/PT as part of A&E’s Biography reboot. Who Killed Tupac? is slated to premiere in late 2017. New York, NY – June 5, 2017 – A&E Network will premiere the definitive documentary “Biggie: The Life of Notorious B.I.G.” as the inaugural project airing under the recently relaunched ‘Biography’ banner. The three-hour, deeply personal biography will allow the late Christopher Wallace to narrate his own incredible life story by employing exclusive archival footage and audio recordings that have never been heard before as well as new interviews by those who loved him most. In addition, A&E will also premiere the six-part limited series “Who Killed Tupac?” which will follow famed civil rights attorney Benjamin Crump as he conducts, for the first time ever, a no-stone-unturned investigation twenty years after the death of the dynamic and influential rapper and actor. “Biggie: The Life of Notorious B.I.G.” will air all three hours on Monday, September 4 at 8PM ET/PT on A&E. “Who Killed Tupac?” which will air as six, weekly installments moves to Q4 2017. Directed by Mark Ford, “Biggie: The Life of Notorious B.I.G.” is the first biography to be authorized by his estate and will be the most personal and revealing documentary about the late Christopher Wallace that anyone has ever seen. It will provide interviews with those closest to him including his widow Faith Evans, his mother Voletta Wallace, his close friend Lil Cease and members of Junior Mafia as well as cultural icons Sean “Diddy” Combs, Shawn “Jay Z” Carter and Nas. Twenty years after his death, this intimate documentary will also focus on Faith Evans as she embarks on an emotional journey to reconcile her own turbulent memories. In addition, the special will explore the people and places that shaped his life including his youth hustling on the streets of Brooklyn, NY, his rise to fame with his confidante and collaborator Sean “Diddy” Combs, his relationships with Faith Evans and Lil’ Kim, his feud with Tupac Shakur, and his shocking murder on the streets of Los Angeles. “Who Killed Tupac?” is a six-hour limited series, focusing on the investigation, twenty years after the death of the prolific and influential rapper and actor, Tupac Shakur. Each installment of this investigative series will include aspects from the legendary artist’s life as well as follow famed civil rights attorney Benjamin Crump as he conducts a full-scale, intensive investigation into key theories behind his murder. Crump has represented the families of Trayvon Martin, Michael Brown, Tamir Rice and other victims of gun violence who many believe were denied their due process of the law. When Tupac’s mother, Afeni Shakur, who went to high school with Crump’s mother, saw that he was fighting for truth and justice for the family of Trayvon Martin, she expressed to him how important that was and that this fight is not just for Tupac and Trayvon, but for all our young black men who didn’t get justice. In exploring how Tupac didn’t get his due process, Crump seeks to show how it is relevant to what is happening in the social justice movement in America today. Through Tupac’s own words and exclusive new interviews with eyewitnesses, family, friends, and colleagues, viewers will come to understand every facet of Tupac Shakur’s complex personality. Key interviews include Tupac’s brother Mopreme Shakur, his childhood friend E.D.I. Mean as well as other members of his group Outlawz, Al Sharpton, radio personality Big Boy, Christopher Darden, his first manager Leila Steinberg, former MTV correspondent Tabitha Soren, executives at Death Row Records, former gang members of the Bloods and the Crips, Quincy “QDIII” Jones III and Digital Underground’s Money-B. Building on its roots as a trusted source of information, initial content on Biography.com re-launching June 7 (under the “Biography” brand), will include new and updated hip hop industry profiles, including everyone from veterans Grand Wizzard Theodore and Grandmaster Flash, to breakout star Chance the Rapper and mogul Kanye West. The site will include “The 1000 Word Series” which will roll out online, following each “Biography” project’s linear debut, and aims to provide audiences additional enriched content that allows for full viewer immersion. This additional series will kick off with a letter written to Tupac, accompanied by audio, from author and collaborator, Kevin Powell, as well as a video component and a heartfelt letter written to Biggie Smalls from friend, colleague, and author Steve Stoute. What do you think? Are you a fan of Biggie and Tupac? 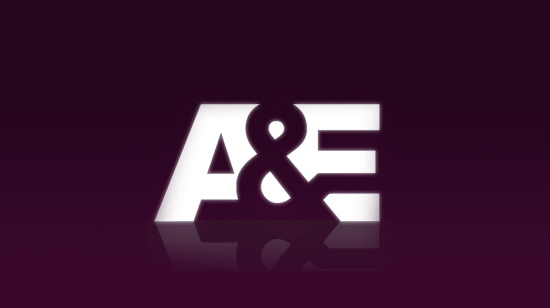 Will you watch the new A&E documentaries? More about: A&E TV shows: canceled or renewed?, Biggie: The Life of Notorious BIG, Biggie: The Life of Notorious BIG: canceled or renewed?, Who Killed Tupac?, Who Killed Tupac? : canceled or renewed?